The subtitle of Three Cups of Tea is “One Man’s Mission to Promote Peace . . . One School at a Time.” What I found moving and inspiring about this book, however, is that Mortenson’s mission was not to promote peace but to provide education, not to bring an agenda (even one as benign-sounding as peacemaking) to the villages of the Karakoram region but in response to a profound desire he meets there and answers. To put it another way, he does not set out to shape the region to his interests, or American, or ‘Western,’ interests, as the subtitle misleadingly implies, but rather listens to the villagers who become his friends and mentors and then sets out to bring them what they want, for themselves and especially for their children. He was appalled to see eighty-two children … kneeling on the frosty ground, in the open. Haji Ali, avoiding Mortenson’s eyes, said that the village had no school, and the Pakistani government didn’t provide a teacher. A teacher cost the equivalent of one dollar a day, he explained, which was more than the village could afford. So they shared a teacher with the neighboring village of Munjung, and he taught in Korphe three days a week. The rest of the time the children were left alone to practice the lessons he left behind. . .
Three Cups of Tea is the record of what he did, and his accomplishments are truly astonishing. Working single-mindedly and also, for some time, more or less single-handedly, he raised the money for the Korphe school first and then gradually expanded his efforts (and, even more gradually, his resources) until eventually the Central Asia Institute he created, launched by a $12,000 check from a single generous donor in response to Mortenson’s first fundraising efforts, became a substantial organization that has built, to date, 130 schools. Small amounts of money (by Western standards) were more than matched by the investments of time, labour, and passion made by the local people who worked with Mortenson to realize, not Mortenson’s vision, but their own. ‘Today is a day that you children will remember forever and tell your children and grandchildren. 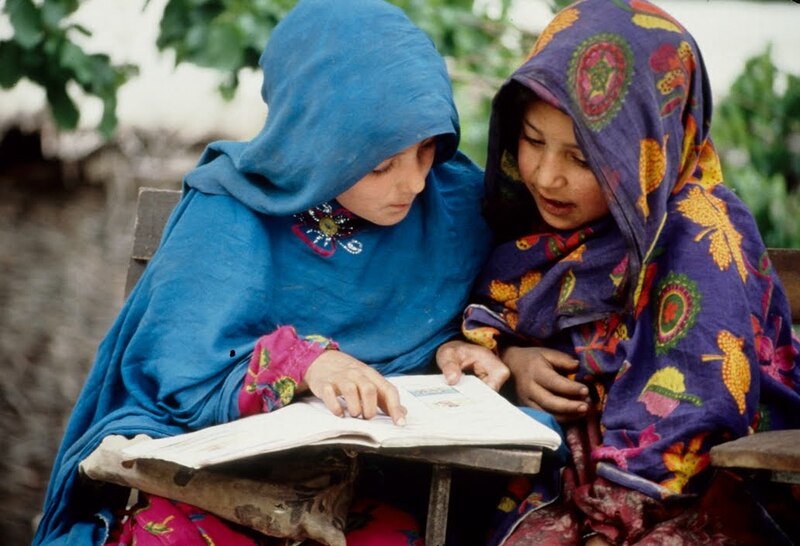 Today, from the darkness of illiteracy, the light of education shines bright. ‘We share in the sorrow as people weep and suffer in America today, as we inaugurate this school. Those who have committed this evil act against the innocent, the women and children, to create thousands of widows and orphans, do not do so in the name of Islam. By the grace of Allah the Almighty, may justice be served upon them. . . .
‘These two Christian men have come halfway around the world to bring our Muslim children the light of education. Why have we not been able to bring education to our children on our own? Fathers and parents, I implore you to dedicate your full effort and commitment to see that all your children are educated. Otherwise, they will merely graze like sheep in the field, at the mercy of nature and the world changing so terrifyingly around us. A lot changes, for Mortenson’s work and for the regions he works in, after 9/11, and Three Cups of Tea chronicles the increasingly politicized and then militarized context, the danger and suffering caused by the war, and Mortenson’s attempts to explain what he knows (and loves) about the region to everyone he can reach. 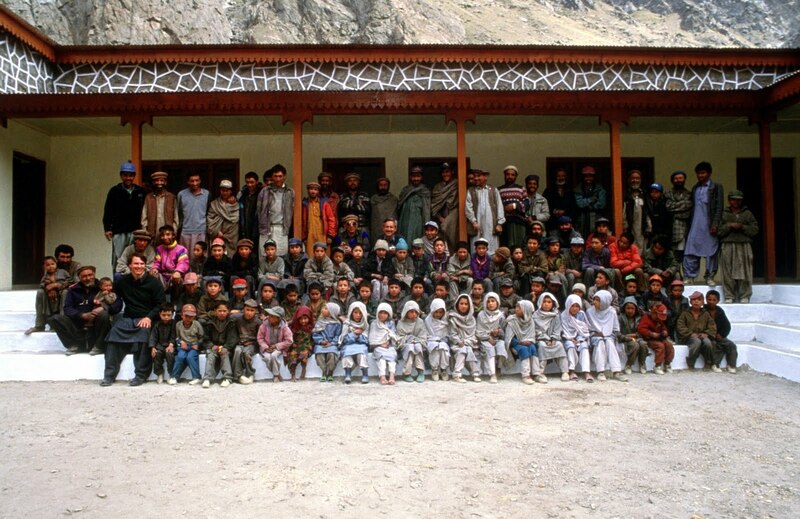 That education is a vital part of any long term solution, not just to the poverty of the villagers, but to the region’s stability and resistance to extremism is obvious to him and thus becomes a major part of the story he tells and, eventually, almost perversely, Al Qaeda provides Mortenson’s ticket to success. Suddenly, everyone is interested in those mountains between Pakistan and Afghanistan, and Mortenson’s school projects catch the sympathetic imagination of enough of the American public that the CAI really takes off. He stays doggedly independent, though, refusing any government money, for instance, because he knows that such an affiliation would undermine the trust he has built up through nearly a decade of close personal contact. ‘I don’t want to be just a health worker. I want to be such a woman that I can start a hospital and be an executive, and look over all the health problems of all the women in the Braldu. I want to become a very famous woman of this area. . . . I want to be a . . . “Superlady,”‘ she said, grinning defiantly, daring anyone, any man, to tell her she couldn’t. It’s impossible not to agree with Mortenson: “Five hundred and eighty letters, twelve rams, and ten years of work was a small price to pay . . . for such a moment.” And yet it seems important not to forget that though Jahan may indeed be breaking traditions, defiantly daring men in particular to stop her, it was those very village elders, and especially her own grandfather, Haji Ali, whose vision and persistence first brought Mortenson to her. I thought Three Cups of Tea was overwritten: the descriptions are excessive, the prose sometimes heavy-handed and tendentious. I also wonder about the long passages of dialogue, even speeches, that appear to have been remembered with uncanny precision despite the hectic circumstances of the moment and the passage of time. The story itself, however, is intrinsically so interesting, and such a testimony to the ability of a single person to move mountains (a metaphor that, perhaps inevitably, is exploited endlessly because of Mortenson’s climbing background) that it’s a great read nonetheless. I challenge any of you to read it and not end up, as I did, making a donation. Yes, it is a good thing to promote peace. But whatever the other results, it’s an intrinsically good thing for children to have a clean, safe place to learn, and a particularly great thing for girls to have an equal share in this opportunity.